Place chocolate chips, almond extract, coconut milk in a small pot or the top pot of a double boiler. Melt chocolate in small pot slowly over another larger saucepan filled halfway with water, on low heat. OR you can heat the these ingredients in a bowl in the microwave. 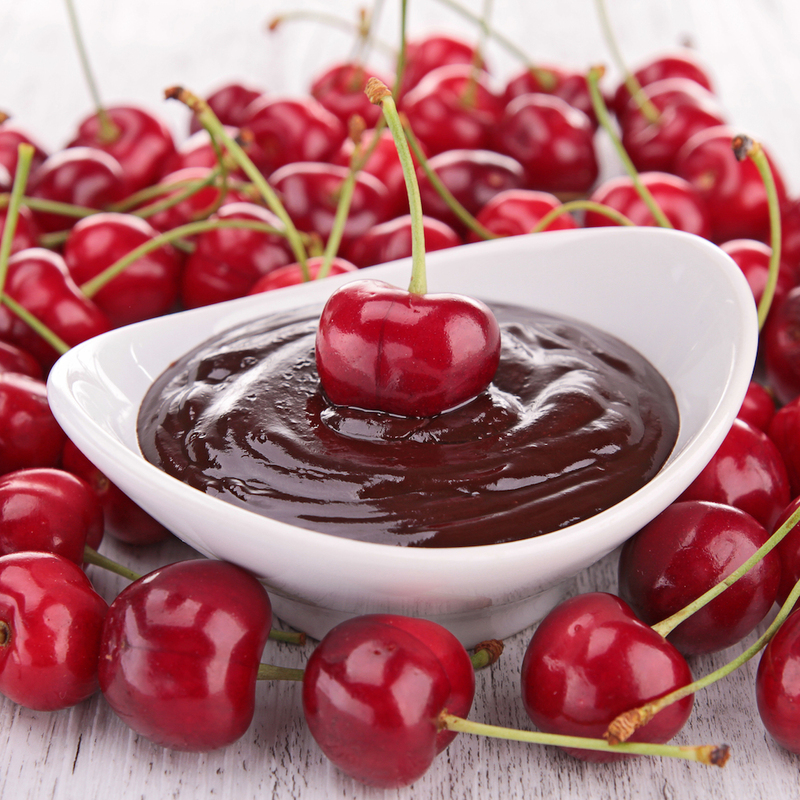 Dip cherries in the chocolate and allow excess to drip off. Then lay on the wax paper sheet. When finished dipping fruit place in refrigerator to cool for at least an hour. Enjoy!